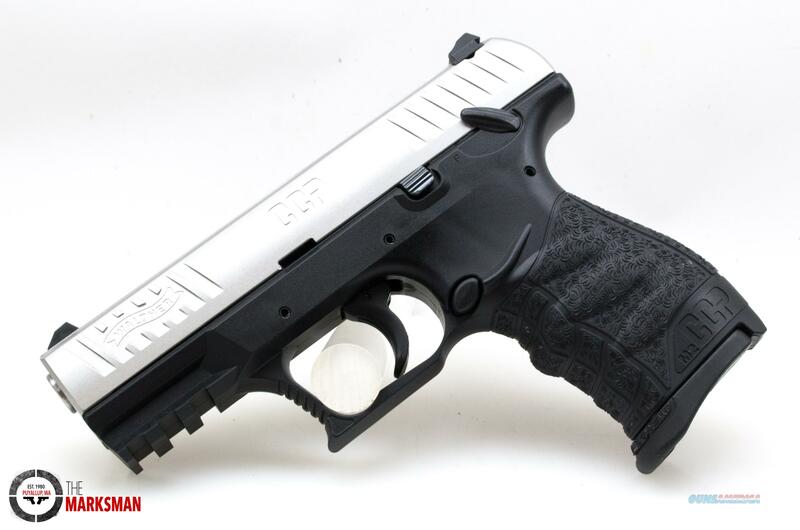 Description: One (1) new Walther Stainless CCP M2, chambered in 9mm. This pistol has a 3.54 inch barrel, ergonomic black polymer frame, reversible magazine release, low profile three dot white sights and comes with two 8 round magazines, factory plastic case and factory paperwork. The new and improved Walther CCP M2 can be assembled and disassembled without tools.